- Sue Kirk, University of Manchester, UK. 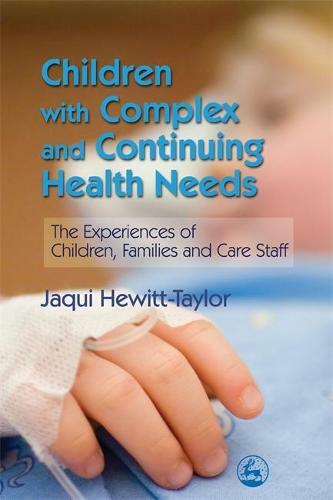 Focusing on the real life experiences of children and their families, this book provides valuable insight into living with complex and continuing health needs. The author highlights the importance of seeing each child as an individual, with the same rights and needs as any other person, rather than defining them by their health condition. The book includes case studies to illustrate the experiences of children, parents, siblings and extended families, as well as professionals in health and social care. These personal accounts discuss both the challenges and the rewards associated with looking after a child with complex needs. The author also provides an overview of the support which is available in healthcare and education systems and makes recommendations for the future. Anyone who is responsible for supporting children with complex and continuing health needs will benefit from reading this book.